The Cadet 24 will hold up to 24 guns with a total of 5 locking bolts (3 active). 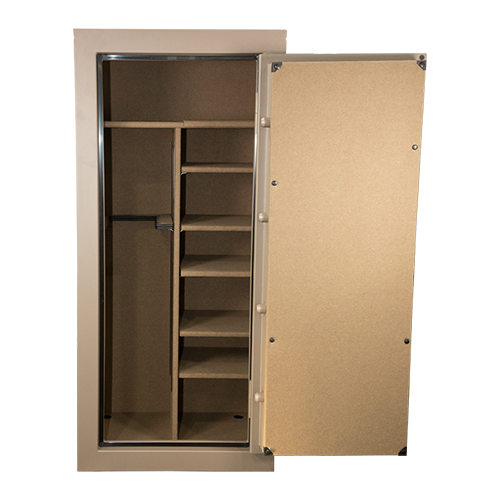 It has 4 adjustable, or removable, shelves and two gun racks. 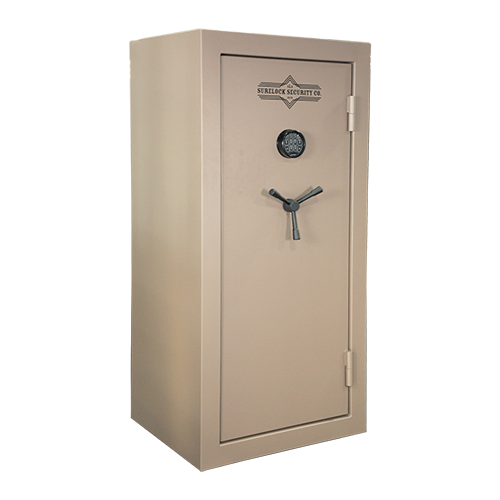 The SureLock Security Company Cadet Series Gun and Home Safes provide maximum security, for all of your valuables, at an affordable price. 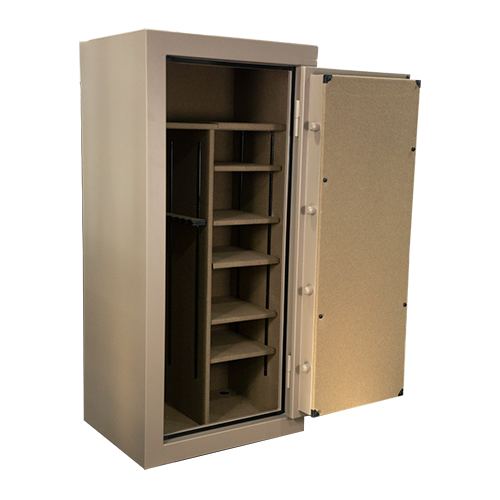 The Cadet Series comes with a matte tan exterior finish, as well as a tan interior that has a customizable gun rack and adjustable shelving. The exterior includes a black SafeLogic BackLit digital lock and three spoke handle. Be sure with SureLock, and protect what can’t be replaced. 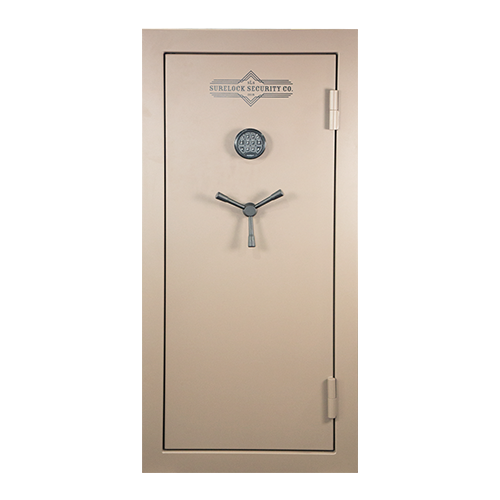 Backed by the SureLock Securities Lifetime Replacement Program, the Cadet Series Gun and Home Safe is the dependable choice to securely protect all your treasured possessions.